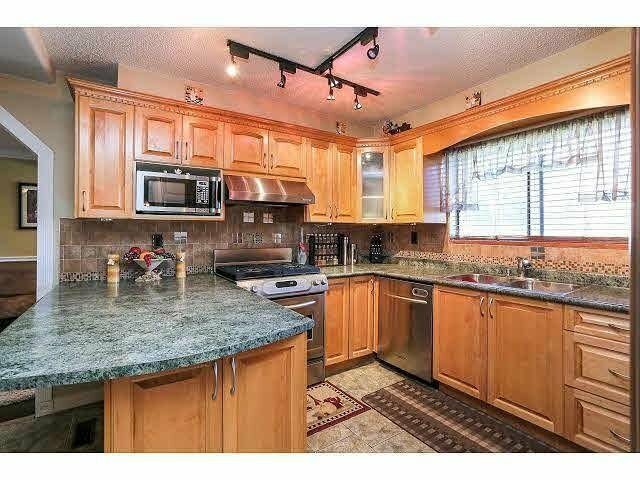 Yes, you saw that right, this is a 5-bedroom home in Panorama Ridge, on a large lot, with an authorized 2-bedroom suite with its own full 4-pc bath! With more than 2400 sqft of total living space, 3 bedrooms and 2 full baths on the main floor, a kitchen & deck renovated in 2015, a large family room, an XL sundeck, covered patio & a fully fenced private yard, what a fabulous spot to call home! Bedrooms are bright & feature large ceiling fans, 2 wood burning fireplaces keep the house cozy in the cooler months & the long driveway has room for several cars or for playing hop-scotch and teaching little ones how to ride a bike. Positioned on a quiet, family-friendly cul-de-sac, within walking distance of schools, parks and transportation, call today and start making new memories tomorrow.